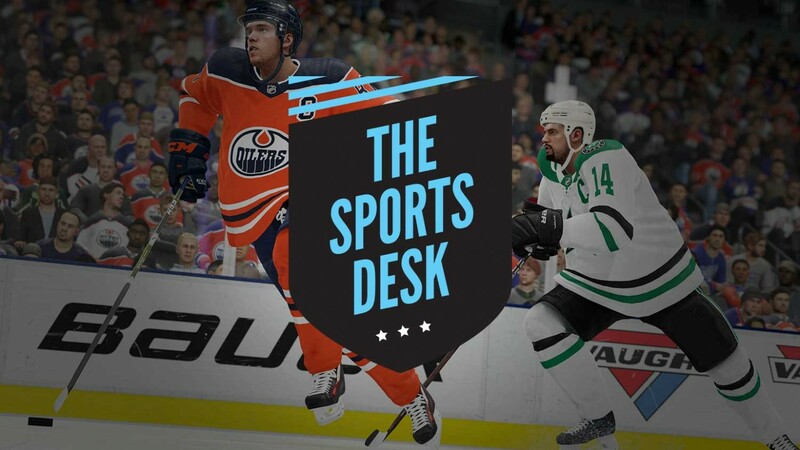 What's Going On With NHL 19? Before NHL 19 even came out in mid-September excitement was already high for the title. I played it at E3 in June and the new skating gameplay was positively striking. In August developer EA Vancouver put out a public beta which reaffirmed what I had found out earlier: The game felt so much better – faster, more agile – than ever before. Players lost less speed coming out of turns and cuts, and seeing them doing crossovers and puck handles while in tight spots or screaming through the neutral zone was like a breath of fresh air. But new tuners before the end of the beta and updates after launch (mandatory for online modes) robbed the game of some of its electricity according to some in the community. Fast forward to today, and some fans of the game (like this NHL subreddit) feel like EA Vancouver has nerfed their own game and wistfully long for the days of the beta. Curious, I asked NHL 19 producer Ben Ross about the game's contentious journey from beta to release, what's been going on, and whether there are more changes ahead. Do you feel your philosophy towards the game has changed from the beta until now? That’s the interesting thing: trying to mix what we see from the game from our own eyes and then try and see it through the community’s eyes is obviously something that we do all the time. It’s been kind of interesting to see how harsh some of the people are in terms of how drastically they feel the game has changed. At some point you kind of go, “Hmm. Is there something we’re missing here, because we don’t feel like we’ve changed it that much?” And we don’t feel like we’ve done anything that was beyond what people were asking for. There’s certain people asking for one thing and other people on the other side. Normally I use that as a good gauge for myself. If people are asking for things on both sides, you’re actually balanced, which is a good thing. In terms of our methodology, I don’t feel it’s changed at all. We kind of stuck to our guns. And normally when we hear things from people, we try and go, “What are they saying that doesn’t align with what our original intention was? Is there actually something we can change that will still sit with our core direction that will hopefully also solve their problem?” Sometimes people actually tell us, “This is the thing you need to change,” and we won’t necessarily change that exact thing, but we try to make a change that coincides with our direction that will hopefully solve that problem. So, try to get to the core of what they are asking for us to improve as opposed to what they are telling us to fix, and try and put the responsibility back on us as the experts. We want to hold ourselves accountable to. “Hey, these are people who play the game a lot. Do they know something we don’t?” But it’s really hard to decipher between that harsh competitive nature where people want to draw a line in the sand whenever we put out a tuner, and point anything that they feel toward that being the actually change versus the community could adapt, they’re playing against better competition...there’s a lot of things that can change between their feeling of playing it day one in the beta versus, say, game 100 or something like that. We actually hear that every year; people will actually say, “Oh, the beta was better,” so I don’t think this year is different in that regard except for the fact that this year the positivity for the game was that much higher. The falloff tends to be a natural progression of people in sort of a honeymoon period of the game being new versus when they get into direct competition and it being about wins and losses as opposed to exploring a new game. That’s not to say that some of our tuning couldn’t have disrupted some things for some people, but I still feel like a lot of it is probably attributed to that, and then you’ve got those bits of tuning where people can point to as well. There have been times during development over the last bunch of years where people on our team, myself included, will come in after a weekend and go, “Man, the game has changed,” and not a line of code has been checked in. You just have this perception of how things are, so I also know that there is just this...you can feel changes, and because there is code in there, you kind of just kind of go, “Oh, something must have changed,” and you don’t just give credit to [the idea that] the game could just play differently at that time. Do you personally feel there's a difference between the beta and now, and what kinds of players think it's different? The biggest contingent is probably is our competitive core – people we see every year on Twitter, people who played in the World Gaming Championship, people who play in our competitive league – the very competitive 6s community for EASHL – and stuff like that. They are the ones we hear from the most when it comes to that kind of stuff on a year-to-year basis. Do I personally feel that things have changed? Yeah, for sure. We’ve made changes on purpose and hopefully the game is tuned in such a way that each attribute point and stuff like that can make a difference in the game. Anything we even tuned slightly hopefully people can feel – that’s the whole point of making the changes. But there are certain things that people point to around player speed and things like that that we haven’t changed, so we kind of try and decipher why [people] would they feel that way. So we try to dig into the details of that kind of stuff...and there’s just never kind of a silver bullet solution. The narrative from the community was like, “Hey, the beta was great everybody loved it, why did you change anything?” And I think that it wasn’t that unanimous. When I look at the reports, they were the most favorable they’d been in a bunch of years, but two of the main things we heard in the beta were the skating – and I think it was kind of attributed to our marketing campaign [with young star Connor McDavid]. “Well, not everyone in the league should skate like McDavid," [said fans]. They were pointing to certain builds in the EASHL or certain players in [online] versus play on teams saying, “This defensive defenseman shouldn’t be as quick and agile as an elite dangler or say a player like McDavid,” and that was something we had already tested a change with our Game Changers and I already had waiting in the wings, but I wanted to put out the current build during the beta without that change first just to see if other people had that feedback. When they started to kind of saying that, I was like, “Okay, perfect. We’ve got this change. We felt we needed it. Let’s try it out.” For the last three days of the beta we had put up a tuner to improve the balance between big and small players in modes like Ones as well as how that would affect the core game in terms of core agility. It wasn’t going to affect straight-line speed or acceleration or anything, but if you were sort of dancing in the corner, a smaller, more agile player could – in that sort of cat-and-mouse matching game – a smaller player, a quick-footed player like a Mathew Barzal versus a Zdeno Chara or something – [the bigger player] would lose a step if they were trying to keep up with you one-to-one. Whereas before the change they would kind of be within half a step or right on cue with you. Then when we launched we had our day zero patch also coming out, because the things we weren’t able to adapt with the tuner were the things around poke checking. What we wanted to prove in the beta – because we got a lot of flack for it in NHL 18 – was that we were missing things with our collision detection like a stick would go through a leg and not trigger a trip...or a puck loss. So we really made sure this year we fixed a bunch of issues in our detection there and our collisions were working properly and we put out something in the beta that was pretty harsh. When we put the beta out, we knew people were going to say something about it, but let’s try it out. So we put it out and got that feedback, and it wasn’t unexpected. When we had the change for the day zero patch, what we did was minimize our collision volumes and we shrunk them in a bit. So instead of getting a hair of like a stick on leg tripping a player, you now needed like a good inch-and-a-half of overlap before it would trigger a trip. That was a change we always thought we needed, and then the beta confirmed. What do you think about the criticism that the current version of the online tuners make it harder to hit and separate the puck from puck carriers versus the beta? When we watched people play NHL 18 and we were re-doing our physics model this year, there were a lot of things we wanted to improve in terms of the fidelity in hits, but one of the side projects I had...I don’t want people to feel that players are just kind of rubbing off checks anymore when you deserve to get it. We worked on our low-relative speed collisions and push checks to make sure that players who had leverage were strong enough to push players off the puck, and it obviously comes down to attributes, size, strength, and a whole bunch of other things. But one of the side effects that wasn’t intended was when the player beat you, you could still kind of turn and shove the player in the back and they would stumble when you really didn’t have that leverage. We want to reward these players, and we saw our breakaway percentages start to dip below like even 15 percent at times for some players in the world in the top 100, where we’d expect them to be like 25, 30, even 35 percent. It wasn’t just because of them not adapting to the changes we made to goalies, it was just that they were getting these breakaways and not even getting shots off. We started to take it more seriously, and we took probably two-and-half weeks testing this particular tuner when we went like, “We didn’t want to go too far, we didn’t want to get back to the point where players were not vulnerable when they’re dancing around in the corner, but we didn’t want players to get shoved off easily from behind.” We tested it and tested it and tested it across several different player classes and things like that, and finally settled on something we wanted to put out. Obviously, when you do that, people have adapted to the current game, they’re used to being able to do that, so we were trying to figure out whether the feedback that was coming in was fully justified or not. It’s possible that we went too far, but on paper the change isn’t massive, and it is isolated to checks from behind and when you have that protected puck where your center of mass is more toward the puck so that if you got pushed toward it you do have that balance. We were still seeing bigger players and players with slightly more relative speed able to push players off the puck still. We’re trying to monitor that now still, to decide how much of that is a skill gap and these good players able to manipulate the relative speed coming into a check and fight these things off that still is a fairly realistic thing, versus this kind of being a game-ified thing that is beyond what should be acceptable and sort of figure out the balance there. It’s a fine line. I think the best-case scenario would be we had a few more stumbles where players could just keep the puck within the stumble so we didn’t have to push that line as much between incidental contact and stumbling, that was kind of the original goal. But in trying to solve that, obviously we ended up in a place where it was a bit over the top and players were losing the puck in places where they shouldn’t. It isn’t something you can isolate and go, “This is exactly the code.” We want it to be very organic where the differences in the players’ attributes and ratings and size, and all those things weigh into it, so it’s very hard to isolate. Even if somebody sends you a video and goes, “What about this one?” If you tune that one, nine other ones would be out of balance. So, it’s just something we’re going to take a little while longer to balance. It’s not set in stone that it has to stay exactly the way it is. How about people feeling like the game isn't as agile or fast as the beta? When we made the agility change we knew that bigger, slower players were going to lose those steps, and I’m not surprised that players playing in the EASHL as a defensive defensemen would have liked how quick-footed they were prior to that change we made during the beta, but that’s one of those things we have to decide. Is that the right reason to like it? Should you not want to consider being a two-way defensemen who’s slightly faster and giving up a little bit of strength in hitting if it’s a no-brainer to pick a defensive defensemen? It might mean something’s out of balance anyways. I can understand why some of that felt better to players, but it’s quite a bit different than NHL 18 because we also changed our input model. When people say, “It feels like NHL 18, I feel sluggish in corners,” I do get that comparison and I do get what they’re trying to say, but the biggest difference in NHL 18 is that we had a blended input model. If you were headed to the left and then wanted to go right and not really thinking of a stop and a start, but wanting to turn so you’re rolling through, even if you rolled really quickly the blended input model would have kind of like of a set rate at which it could update. It made things feel like skating, which is why I think it was originally done – like this is parts of the input model dating back to probably as early as ‘08 or ‘09 or something. We adapted the input model this year that when you change quickly it will still roll through and recognized that you’ve rolled, but it will blend sort as quickly as possible so you get these quick changes. Then that puts the difference of the players not on the input model but in the attributes themselves. When you go to something more raw like that, the twitchiness of the controller is extreme, and you really have to rely on the tuning of the motion model in terms of how fast the player can accelerate, how agile they are, that kind of thing in that tuning. We know that the game – assuming you have a good connection and stuff like that – is much more responsive when it comes to the input model because that hasn’t changed. It wasn’t until our 1.02 tuner that all of a sudden people were really loud about the skating feeling different. That’s another thing that was interesting for us. We made the change with three days left in the beta, people had played the game for about a month and some people were saying that they like the game prior to that agility change, but most people were saying the skating felt okay and they kind of drew the line in the sand at that 1.02 change. There were a couple of things that changed then. One of them was an attempted change on pivots. We put in the change in being able to scale pivots and we kind of knew it wasn’t going to be a massive change, but we kind of went, “Well people are asking for this, so let’s at least try and we’ll continue to try to tune it." But people were saying, “I feel so slow now,” and we went back and looked at that change and we were timing that out and we don’t even think across like 20-plus attribute points it even makes a frame of difference – which is kind of unfortunate. I wish we didn’t even put the change in; giving people something [against which] to draw the line in the sand because it created kind of a red herring for us to chase. But I think the thing that might have made a really big difference – a lot of our competitive players were less interested in the skating for the realism than trying to see where they could separate themselves with their twitch skills. A lot of them will skate with the puck, turn backwards, and kind of pivot around the defender; doing those quick pivots to enter the zone and things like that. We made another change in that patch and tuner phase that was for Vision Control consistency. What we did there was it recognized more reliably which way you rolled with your thumb and/or what hemisphere of the controller you were in relative to where the puck currently was. We made a bunch of pretty good fixes there and we also made a reliability change in a feature we added this year where if you’re pivoting and you press the protect puck button first, you can actually pivot the long way. Something people could do quickly on the controller without having to do any roll of their left stick, just kind of through an inconsistency, but something that they appreciated, that’s kind of where I’m putting my finger on right now as being something that’s changed. Since then I think a lot of players have started to learn how to manipulate that. The realistic side of me kind of cringes and goes, “Oh man, that’s so responsive,” and yet I’ve got all these things in Twitter going, “It’s sluggish, I turn like a truck,” and I’m kind of trying to consolidate those two things going, “How can people be looking at this and feeling this feeling that way?” That’s been a harder one to identify and I’m trying to figure out whether that’s a consistency muscle memory thing that had the right intention in our change – technically gave them more control as long as they learn it – but changed something that they found reliable during the beta. I would love it for people to give us those rave reviews as during the beta, I just don’t know for sure even if we rolled things back, I think we’d only be taking things backward. I don’t think we’d go back to some unanimous favorable rating. What about the EASHL Dressing Room error when people try to get their teams together for online play? I don’t know enough of the core details, but I do know that with some of the latest fixes they’ve made, there was a 75 percent decrease in the amount of issues they were having, so they’re definitely moving in the right direction. But I do know that PlayStation is seeing a few more, like a higher rate of the issue than Xbox. They were able to kind of pinpoint it, but they don’t know where that discrepancy is coming from completely. Because they were able to improve that percentage, I think that they’re on the right track. There are other pieces – it’s not all related to the same thing, so you get that error when anything goes wrong. But because you get that error, people go, “Oh it’s that thing,” but it could actually be 10 different things doing it. It sounds like they’ve solved some of the main ones, which has dropped that percentage drastically, and when we talk to our competitive group that plays online 6s, their ability to get into games has gone up dramatically since those changes, but we’re not fully there yet. But I don’t know firsthand if they have leads on what the next change will be yet. In terms of general gameplay fixes away from the beta-versus-release discussion, can we expect more improvements for the puck pickups? There are other things that can disrupt puck pickups as well. They’re decent, but we’d love to get it up to that higher rate, especially in the cases when players are open. When we’re looking at those heat maps, a lot of them are near the boards still, so there’s something there we need to improve. Some of those are players overshooting and kind into bumping into the boards, but there are some other pieces in the coverage for the way the game recognizes the puck off the board to be able to predict where its future position is – sometimes the game thinks the puck’s going to be in a certain place, and it’s actually not there and they go to pick up say a foot away from it or something like that where they didn’t read what the velocity would be around the boards, so that’s why the boards cause more issues. But the ones in open ice are down to like a certain animation that isn’t as reliable. What we found is that same animation 10 other times picks up the puck no problem. We also tried to decrease how often the puck would kind of warp to your stick. In improving puck pickups this year, we kind of added to our problem by increasing the realism. I think if we went for as realistic in terms of how much the puck warps to your stick as we did this year, last year, it would have been a disaster, but because we improved the solving of the pickups this year and allowed players to resolve a pickup after the first one wasn’t going to work, we were able to diminish that. We might be able to sort of bite away at that percentage if we increase that tolerance a bit, but it’s something we’re trying to hold to just because there are some cases on say like picking up rebounds and things like that that it already can feel a bit magnetic at times when it reaches that edge, so we don’t want to go further than that. Any go-to goal scoring methods you want to investigate like slapshots inside the blue line or the one-handed tuck deke? We actually added – it was either the second patch or the last we just added – a bunch of tuners in there to isolate how the goalie responds to some of those special dekes. Last year people were kind of learning those moves and the goalies would bite on them pretty regularly. For the average player they’re not scoring those moves very often, but for a really good player you could come in on a breakaway and score pretty reliably, so we do have tuning around it, but whether we sort of execute that or not is still a bit TBD. The other one we’re looking at is players coming in on the same side and they’ve kind of have the puck on their backhand, and then just as they drive in where the goalie has to start worrying about you being able to go across the crease, you can flip it up or shoot back same side, and you get a more powerful backhand than you should be able to from that flip area. That’s one we’re looking at because it’s very tough to defend and it’s just not realistic anyway, so that one is definitely getting a look. The slap shots from distance...I was actually on the forums the other day talking about it a bit. It’s a tough one. We see some of them and we’re like, “Ah, the goalie should have gotten a piece of it,” and normally when they miss those, when unscreened, they’re one frame late. If we tuned it such that the bottom end of goalies where better to eliminate those goals, like to require more screens, or for you to have to be in five feet closer before taking that shot, or the miles-per-hour on that particular shot having to be higher, that kind of thing, the knock-on effect is shots from the slot that pick a corner that beat the goalie by that one frame as well start to become saved because just in general the goalie gets better in terms of his reaction time. There’s nothing that we’re doing to kind of go, “Hey on these slap shots from this position this is a goal or not.” So because it’s all kind of tuned organically around reaction times, the goalie’s reads and things, everything would just...the goalie would just get a little bit better overall – and that might be okay. When I look at it from a realism perspective I think we could bump it there. But what we found in the past is that there are obviously a lot of things that weigh into why that slapshot can go in. In our full sim settings shot accuracy is actually lower. So we recognize that in a real game, with more time, that more pucks should be missing the net, especially when you’re spraying them from further distances. But I think our competitive online settings already rides that line for our average player base. We have some people [say], “Why can’t I ever hit the net?” It’s already kind of forcing you to have to settle. To have the time to take a full slap shot and not be contested by one of these supposedly over-powered poke checks or these kinds of things that the community feels, we are giving tools to the defense through incidental contact and these sorts of things to shut those down. So we have to decide whether those are okay where the rest of goalscoring is rewarding people for these good chances they get in to then not have those good chances start to feel more random to them to stop, say, five percent more long-range slap shots. In a best-case scenario, I think our periods would be two minutes longer, slapshot accuracy would be down a bit, goalie reaction might even be down a little bit. Then players would bobble a few more passes – all those things that we do in our full sim settings, but knowing that people want to get through games and play these four-minute periods, everything just has to be a little bit heightened and tightened up that the consequence is when you’re relating it back to reality, it’s like, “Ah, that slap shot is a little bit more powerful,” or “That one-timer is a little bit more accurate, “ and that kind of thing. As long as players are aware of that, and you don’t want to give a guy time to take that big slapshot – and I don’t think it would be advantageous for someone to just take 20 long slapshots in a game – but when one happens and it goes in and you relate it back to reality, and you’re like, “Ah, that was a weak goal.” In isolation – for sure we’d want to see if we could tighten that up. I’m just not positive that it’s good for the overall balance of the game. Can you give any timeframe for the game's next tuner or update? We haven’t stated anything of when that would be. It’s tough for us with those kinds of things, because it’s even possible for us to have a fix that doesn’t get approved and doesn’t go out there. We can never really officially say something is coming, but there is stuff – the fact that I’m talking about this many things, and talking about what we’re monitoring – if we weren’t considering things. That would be kind of crazy. That would obviously imply that we’re thinking of some things. With tuners, those things are easier for us, they’re more in our court. But that kind of falls back into, it seems whenever we tune something, people are angry, so we want to be very careful when we make changes now and we’re just kind of monitoring things closer. I’ve got a good list on my desktop that’s kind of like, “If we were to do things for these particular things, this is what I think we could try.” Every day I kind try to devote a little bit of time to try a little bit of tuning on my own and we work with our internal QA team to try some things out and kind of float some ideas by them. It’s possible there will be another patch and another tuner, but I can’t lock anything down because even if I said we would, it might not get approved.